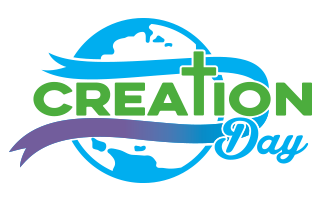 Post in Creation Day and tagged bible, God, science, Scientific Dogma on August 28, 2015 by Taryn. The story of the parting of the red sea, as described in the Hebrew Bible’s book of Exodus, has long been understood by Christian believers as a miracle – an act of God intended to deliver Israel out of Egypt. It is an archetypal event in the wider story of the Exodus, which saw the Israelites delivered from Egyptian slavery, and their entrance into the Promised Land by God, through the leadership of Moses. However, more recent theories have begun to emerge that suggest that not only was this an act of divine providence; it also may have been due to a weather event, and artefacts may still remain which reinforce the biblical account. Some of these theories have even been put forward by scientists who believe they can place this historical event within the Biblical chronology, using scientific methods and theories. The Red Sea is a large body of water that has a surface area of approximately 169,000 miles and is over 7000 feet deep. Because of its notable mention in Exodus, the sea has come to be associated with the Bible, and with the iconic Israelites’ crossing. In the Septuagint (the Greek translation of the Hebrew Bible), the sea is referred to as ‘Red Sea’, but in the original Hebrew, the sea is referred to as ‘Yam Suph’, which can also been translated as ‘Sea of Reeds’. ‘Yam Suph’ occurs over twenty times in the Old Testament and has been traditionally understood to refer to the Red Sea. More recently, scholars have proposed that ‘Yam Suph’, may actually refer to ‘Sea of Reeds’ which is normally associated with the Nile and the story of Moses as an infant. A physicist at Cambridge University in England travelled to the Red Sea in order to settle the matter, and found reeds growing there due to the supply of freshwater from the mountains flowing into the sea. He concluded, that for this reason, it would not be unwise to assume that “Sea of Reeds” refers to the Red Sea, and that the two names are in fact referring to the one, same body of water. The appropriate translation for this body of water which is crossed in The Exodus is a matter of much dispute, but what is clear, is that it was a significant body of water, and one that could not be crossed without a significant event which would expose the sea floor, and allow the Israelites to walk through it. In 2010, American science student Carl Drew conducted research for his master’s thesis at the University of Colorado, which established the plausibility of the red sea parting, from a scientific perspective. Drew’s paper served to demonstrate that a weather event, if strong enough, could move water the volume of the red sea, causing a tunnelling effect that would allow for the human crossing described in The Exodus. In his book Between Migdol and the Sea: Crossing the Red Sea with Faith and Science, Drews puts science behind the events of The Exodus and backs his research up with computer modelling and weather and wind simulations, showing how an atmospheric event big enough, could actually cause the parting of such a significant body of water. Drews even points out other times that this has occurred, such as in the Nile Delta just over 100 years ago. Drews concludes that according to his own model, Moses and the Israelites would have had four hours to cross the 4 kilometre stretch – ample time for them to get across. More recently, two researchers at the St. Petersburg’s Institute of Oceanography found similar results; the pair analysed the Red Sea crossing and calculated that a wind blowing at 67 miles per hour could have exposed the seabed, if it maintained the speed overnight. A startling piece of evidence that has rose to prominence, particularly on the internet, has been the discovery of what is believed to be the remains of chariot wheels on the floor of the Red Sea. According to proponents of the discovery, these findings confirm the Biblical account of Pharaoh’s army being drowned after they pursued the Israelites into the sea. As well as the chariot remains, human bones were found which were authenticated at Stockholm University, as well as bones identified as originating from horses. Although there are scientific explanations to back up the parting of the Red Sea, the Hebrew’s crossing of it, as well as evidence to suggest that the Egyptians were obliterated, as Exodus describes, the accounts in Exodus are primarily theological texts, and should be treated as such. Traditionally, the accounts of the Exodus have been considered to reflect a historical reality, but recently it has come to be understood differently, and scholars have come to believe that the story may have been artificially constructed in order to cater for the specific theological concerns of the authors. This does not beg the conclusion that the accounts do not, in fact, reflect a historical reality, but rather, that they are not primarily to offer historical facts – the description of the Exodus exists to reveal something about the nature of God, and his relationship with Israel, first and foremost. Post in Creation Day, Videos and tagged Alex Tsakiris, Dr. Rupert Sheldrake, Scientific Dogma, Skeptiko, TED Talks, ted.com, TEDx on February 16, 2015 by admin. Skeptiko podcast is a leading source for intelligent, hard-nosed skeptic vs. believer debate on science and spirituality. Each episode features lively discussion with leading researchers, thinkers, and their critics.